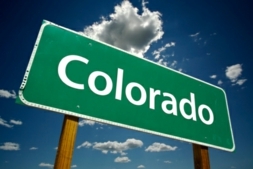 What is the secret to professional success in the competitive business industry of Colorado? Smart business persons rent technologically advanced LCD and DLP projectors from RentalProjectors.com to add power and professionalism to their PowerPoint Presentations, spreadsheets, and video showings. Our extensive collection or multimedia projectors are ideal for capturing the attention of any size audience, whether it be a small room of board members, or a large auditorium filled to maximum capacity. As the industrial hub of the ever expanding Rocky Mountain Region, Colorado businesses excel in high tech platforms such as telecommunications, aerospace and satellite technology, and biological science. With such an advanced and diverse business structure, it is important to rent the highest quality audio visual technology projectors from Rental Projectors Corporation in CO to make a powerful statement and a lasting impression. A 3000 lumen LCD projector rental can propel your next presentation to clients and potential investors by delivering crisp, clear still images in high resolution with superior brightness and contrast. If you are presenting a promotional video at a training seminar, trade show, or exposition at the Colorado Convention Center, a digital DLP projector rental with advanced DLP chip technology can produce unbeatable quality video and moving pictures, and project it on a large surface without distortion, for a larger-than-life feeling that will make your presentation memorable and effective. Whatever your objectives are when renting a portable DVD projector in CO, Rental Projectors Corporation will meet them and exceed them with our vast inventory of digital movie projectors and accessories for rent. The knowledgeable multimedia technology experts at RentalProjectors.com make it their personal goal to ensure that each rental projector is kept in top performing condition and shipped to our clients with everything you will need to operate it, from simple instructions, to connection cables, to remotes. And if you need a laptop for an Internet training seminar, or a portable screen for an outside movie viewing, we offer affordable rental accessories to make your LCD projector rental simple and successful. You can rent any of our state-of-the-art DLP movie projectors for as long as your needs specify, and our staff of projector rental specialists are available day and night to help you choose which portable projector is ideal for your event, ensure that your rental projector in Colorado is shipped in enough time for you to become fully acquainted with the technology, or answer specific questions about your current rental projector. For more information about our audio visual projector and accessory rentals, to speak to a rental expert, or to place an order for a projector rental in CO today, please call us at (888) 951-5060.